This assembly is designed to operate (heating the fuel in the bowl) as soon as the unit has electricity. This fuel filter complete with preheater will fit all models of the KBE5L2, EPX, KBE5S, KBE5L, 125NA (Hotgun), and the 1JA but was designed and shipped only with the EPX and the 2-step KBE5L. 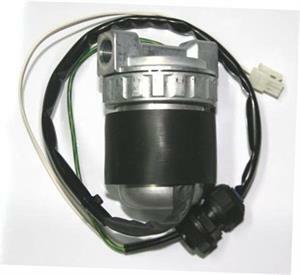 The fuel filter w/ heater complete includes a preheater, a filter and the housing for the filter. Installation requires disconnecting both fuel lines on either side of the housing and plugging into the main board.